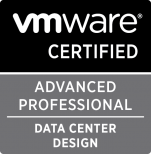 As a VCI, I regularly get asked about free exam vouchers or course discount deals… VMware education has a promotion running now through June 20, 2014 that includes a free VCP exam voucher, a 15% discount on a qualifying course and an additional gift. If you have been waiting for a “deal” to afford the VCP certification, now is the time to save an get certified! Here is a collection of links for resources mentioned in the VMware Virtual SAN: Deploy and Manage [V5.5] Train the Trainer class I am attending this week. Thanks to John Krueger for starting this list and sharing it with us! I plan to add to this list as we go and based on recommendations. Duncan Epping’s Blog – http://www.yellow-bricks.com/virtual-san/ – Duncan has collected a terrific compilation of blog posts related to VSAN!